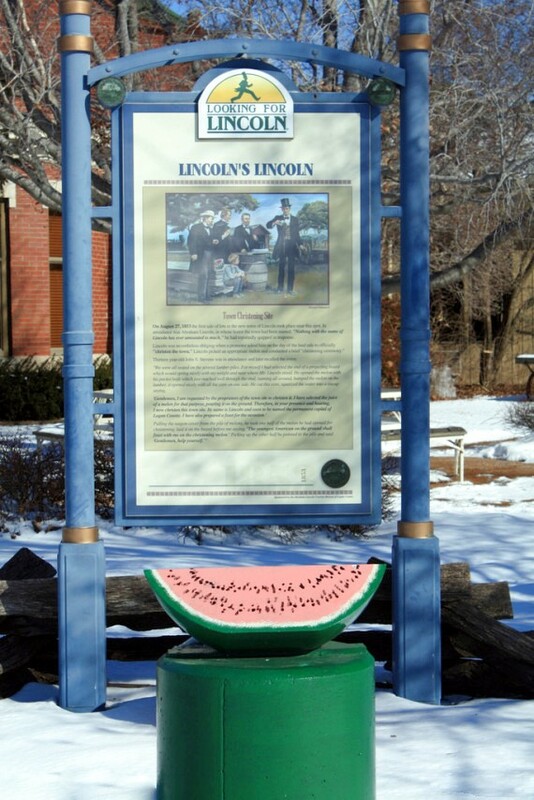 The Digital Research Library of Illinois History Journal™: Abraham Lincoln Watermelon Monument in Lincoln, Illinois. Commemorating the Town's Official Christening in 1853. Abraham Lincoln Watermelon Monument in Lincoln, Illinois. Commemorating the Town's Official Christening in 1853. 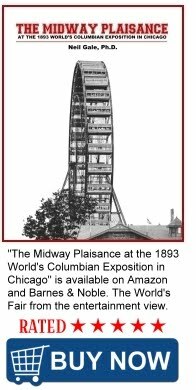 On August 27, 1853, Mr. Abraham Lincoln arrived from Springfield and led a ceremony by the railroad tracks to mark the founding of the new town, Lincoln. The successful lawyer paid a farmer to bring a wagonload of watermelons, which were handed out to the celebrants. Lincoln cut into one of the melons and "christened" the railroad trackside with watermelon juice. The Lincoln, Illinois Amtrak station is a small brick shelter constructed near the former Chicago and Alton Railroad depot that also served the Gulf, Mobile and Ohio Railroad. The historic depot was renovated for commercial use and was long occupied by a restaurant. The Amtrak shelter and depot are located at the center of Lincoln, Illinois, at 101 North Chicago Street. 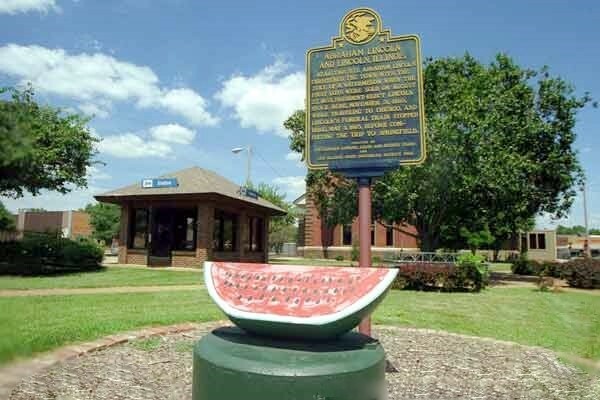 The spot where this celebration took place honors this ceremony with a watermelon monument made of steel which stands on the south lawn of the depot.